BloomCheck is California’s first sustainable cut flower certification program. 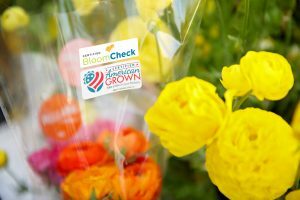 The BloomCheck program establishes best practices for cut flower farms to assure these farms are socially equitable, environmentally sustainable and economically viable. To ensure rigor and objectivity, BloomCheck is managed by one organization, its standards are set by a second organization and accreditation and audits are conducted by a third. SureHarvest, the BloomCheck standards setter, is an agricultural firm that provides sustainability solutions for growers and agrifood companies. SureHarvest collaborates with clients to design and operate world-class sustainability programs. Protected Harvest, the BloomCheck accreditation and auditing firm, is an independent nonprofit organization with a board of environmental scientists and practitioners who independently certify and label farmers’ use of stringent environmental and sustainable growing standards. 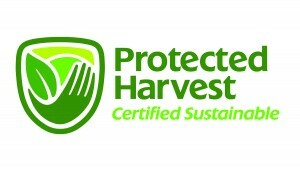 Buyers of Protected Harvest-certified products can be assured that claims of environmental and social sustainability performance are specific, measureable and verifiable. Protected Harvest growers are assessed and audited on water, air, and soil quality, wildlife protection and social impacts on workers and the community.